Why you should hire me. Where “old” displays stunning beauty and tells the stories of our world. I think this is Mt. 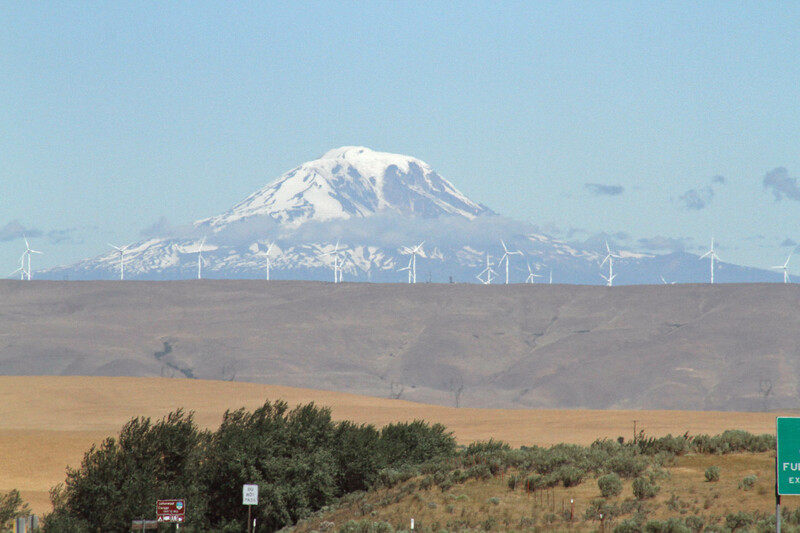 Ranier with windmills turning from the heavy winds blowing across the fields. On my second day in Oregon, I got up from the wonderful home where I was staying in Hood River and headed east along the Columbia River. The scene was gorgeous and soon I was starting to see more desert landscape. The scenery was magnificent and changed continuously as I drove east and south. 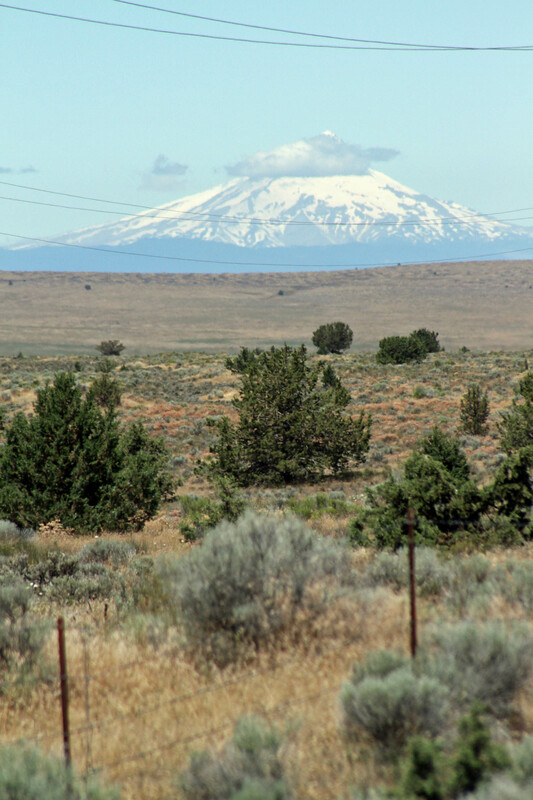 At one point as I was driving through low rolling hills and endless fields with wind generators dotting the horizon, I looked in my rear view mirror and saw a huge snow-capped mountain. I pulled off the side of the road to get a good look and then scanned to the left and saw another mountain in the distance. I’m pretty sure the one was Mt. Rainier in Washington. I don’t think any other mountain that far away could have been as huge as the tallest peak in America. I saw it once from a plane and now viewed it from land. 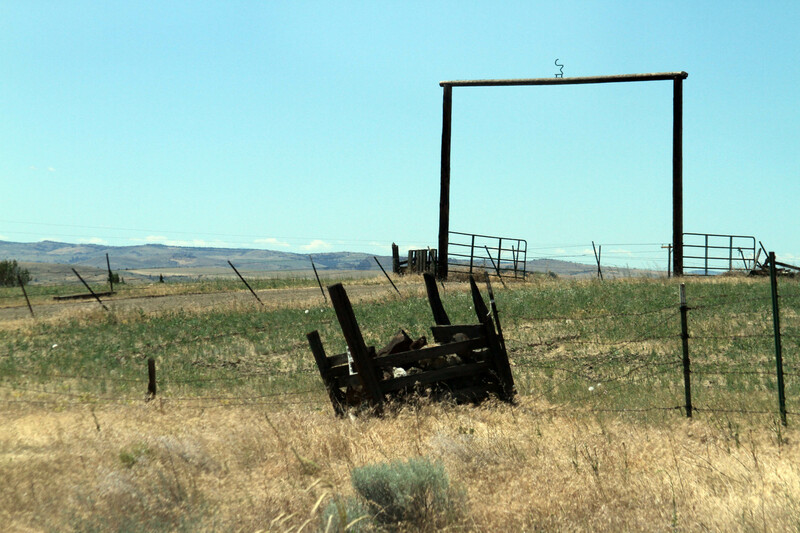 While I normally dislike the journey and am more of a destination kind of person, I fully enjoyed the drive and stopped to take photos as the landscape called to me. 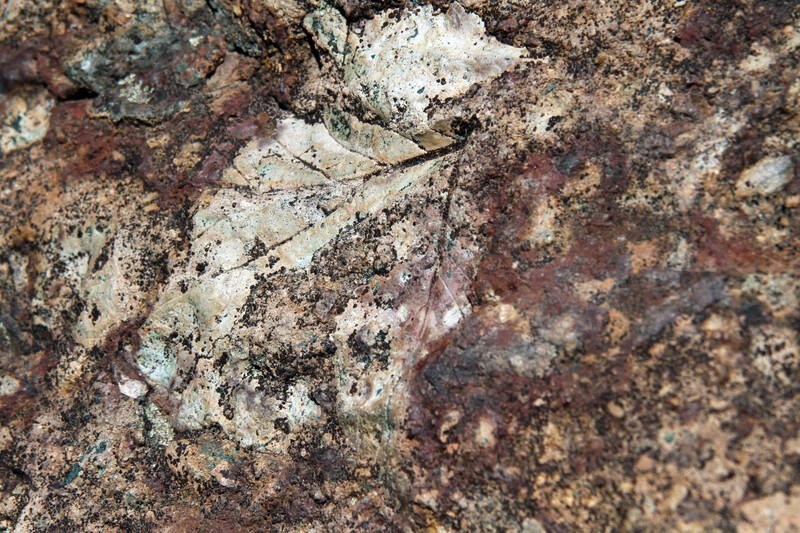 Oregon has a natural history filled with geological turbulence and regrowth. Ice ages, volcanoes, water, weather patterns, storms, and more formed the beauty we see today. Fields and prairies, hills and low bushes, tall beautiful trees, mountains in the distance, and windy rivers all captured my attention and made me relaxed and happy. 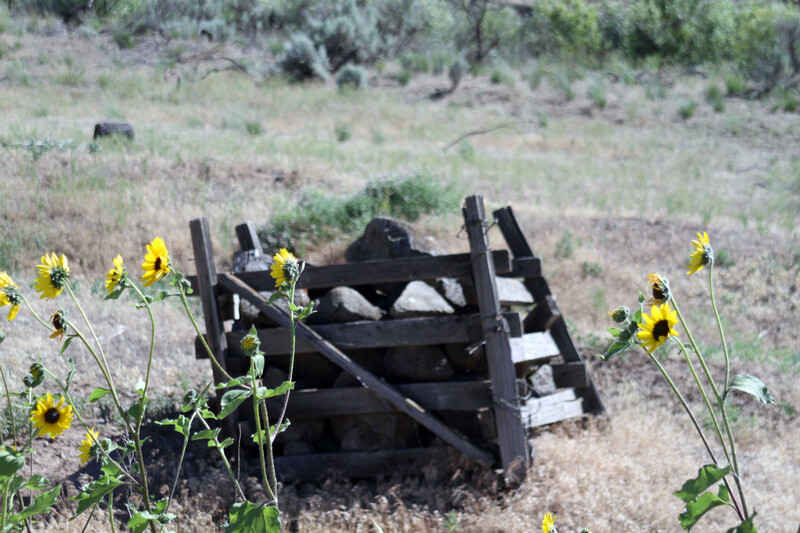 The stage coach station in the old west town of Shaniko. I stopped at a ghost town called Shaniko. In the old west, it was a thriving place but when the railroad passed it by, it became desolate. 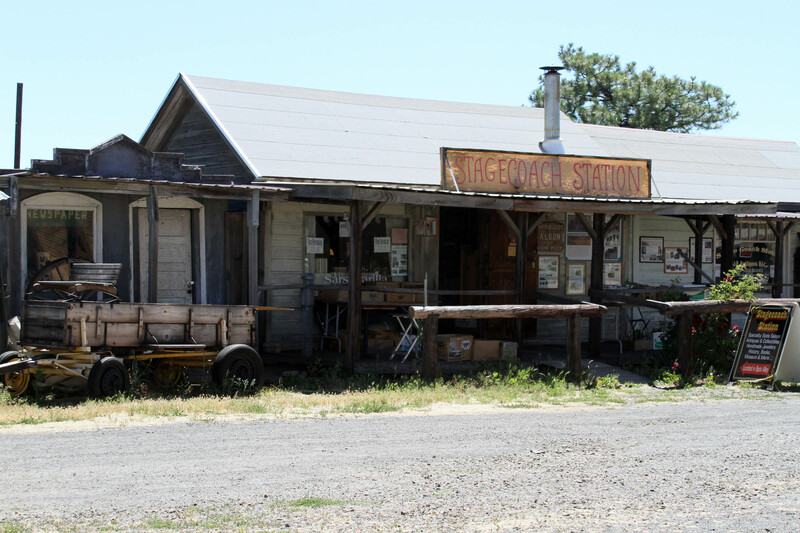 So the locals now make some cash from selling antiques in the old stagecoach station and from people like me who stop off to see a little tiny old west town. 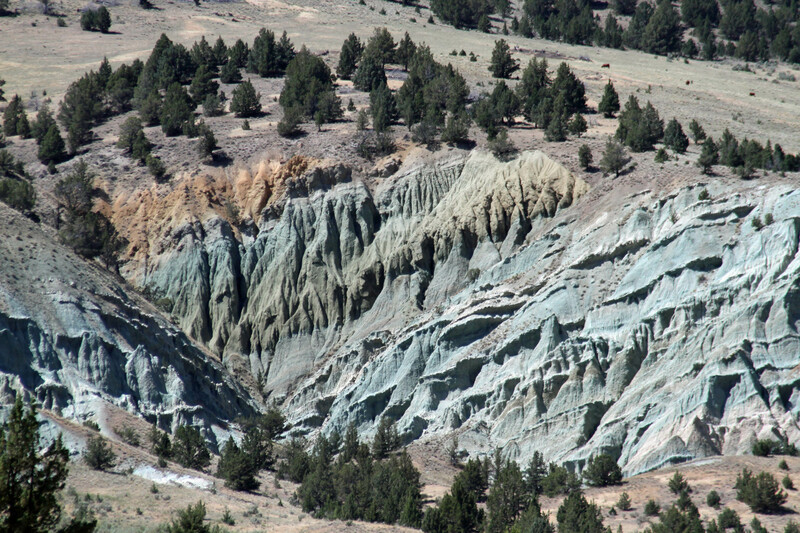 The Clarno Unit of John Day Fossil Beds. 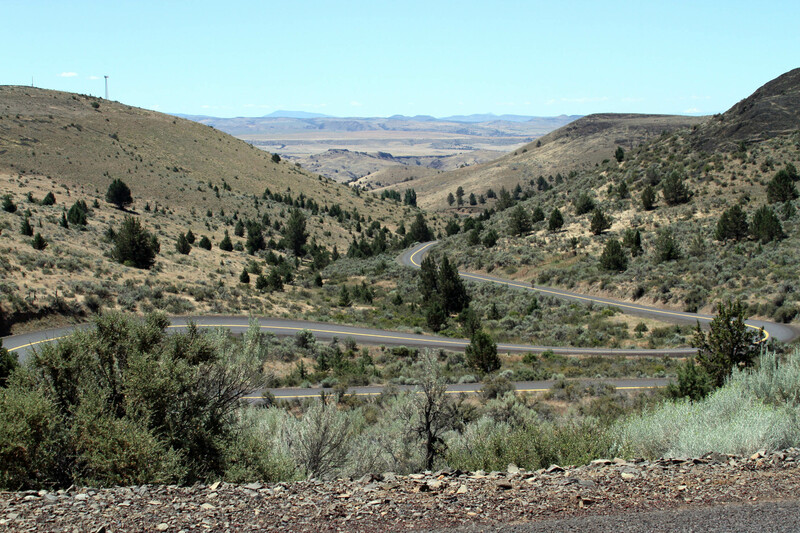 After my short visit, I continued on a somewhat deserted road that turned sharply up and down the hills of central Oregon toward one of the locations of John Day Fossil Beds Parks. There are three sites that make up this park. 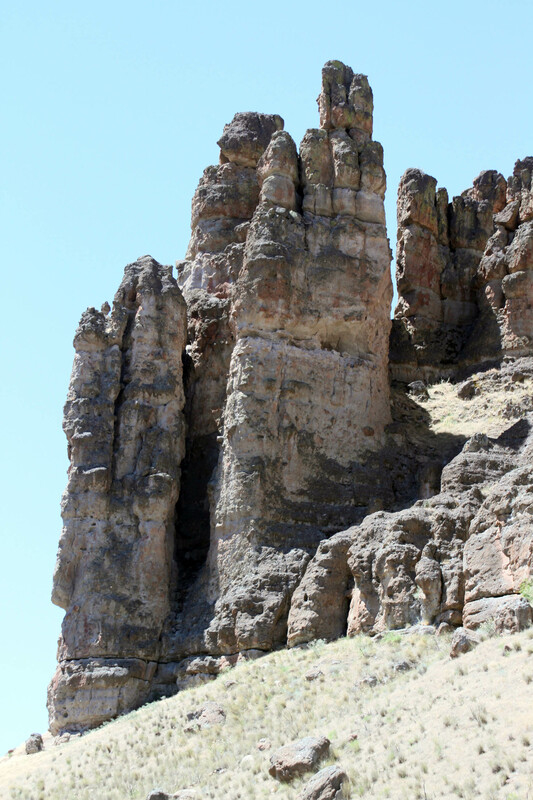 I first went to the Clarno Unit, where I hiked about a mile and a half through in the high sun and along rough paths through ancient rocks. The scene of the tall rock monuments changed as I wound my way around the paths. 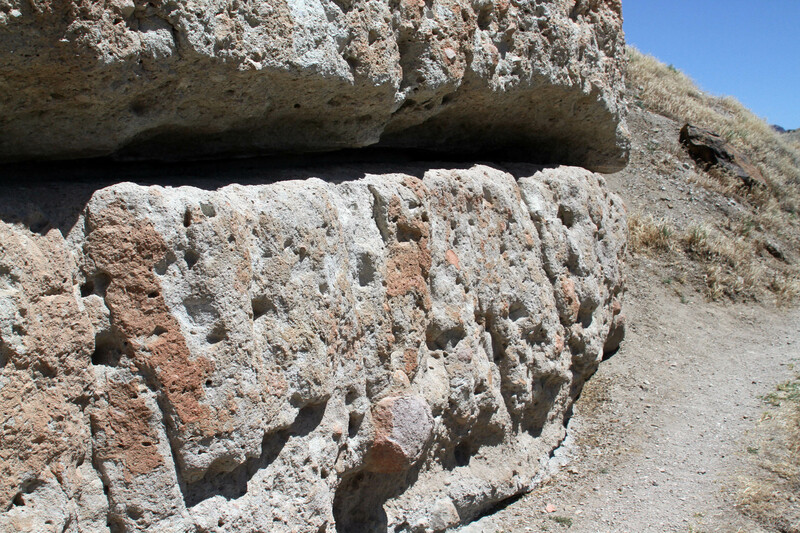 These rock cliffs were formed from volcanic mudflows that swept through the area 44 million years ago and preserved a diverse assortment of plants and animals that inhabited a near-tropical forest. 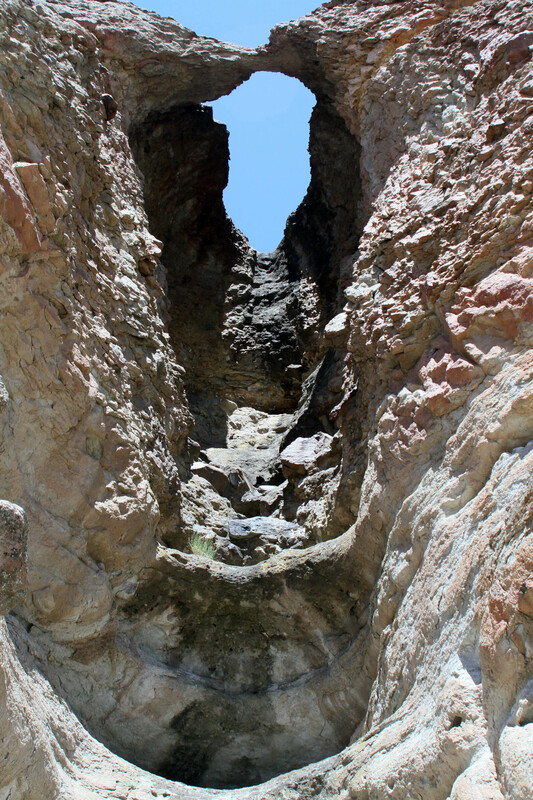 My heart was palpitating when I got to the top of a 450 foot elevation on a small rough path ending under an arch and a fossil of a tree embedded in the cliff. 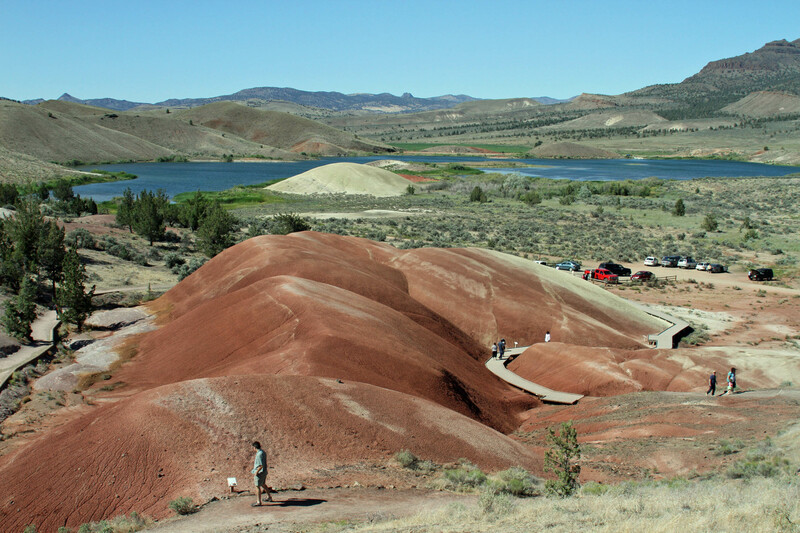 I was in want of ice cream when I finally made it back to my pickup truck—the so called “economy rental”, but alas, no civilization was nearby so I continued along the windy roads to the next park, the Painted Hills. These colorful hills were beautiful. 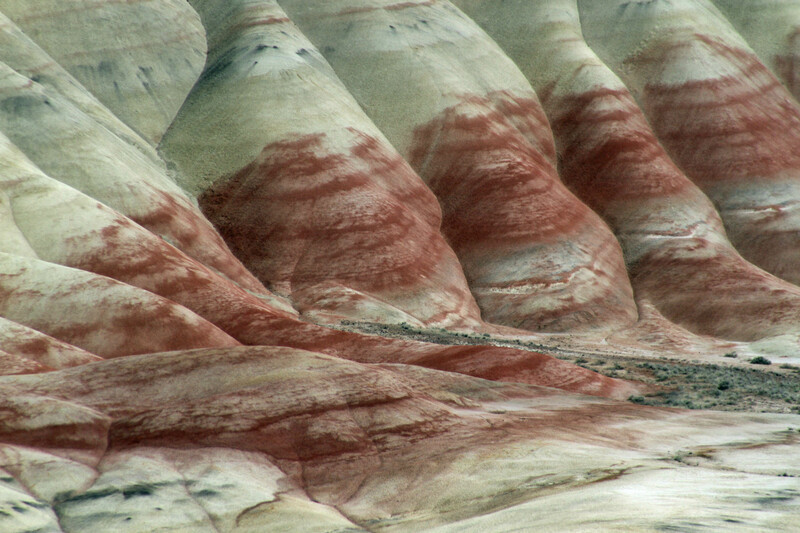 Reds, yellows, and spots of black flowed through the rolling hills as a result of ancient volcanic flows. 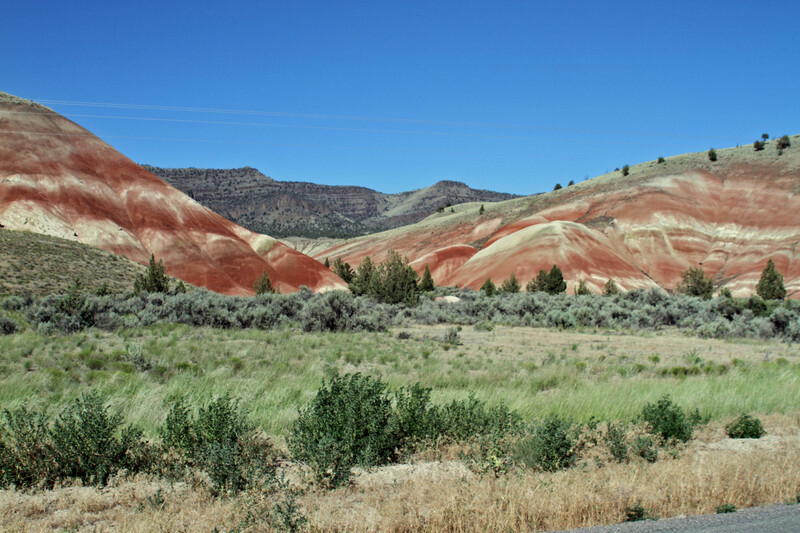 The Painted Hills is one of those places where the view keeps getting better and different as you move along the paths. 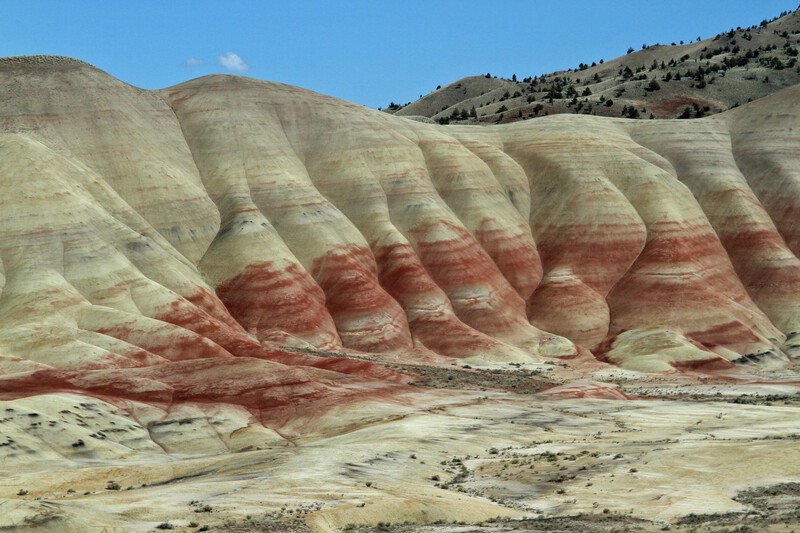 The hills look like sand but when you see it up close, it’s more like very dry, crumbly rock that has been colored. As I was making my way down from the top of one path, I noticed many people with dogs—they are allowed on leashes. 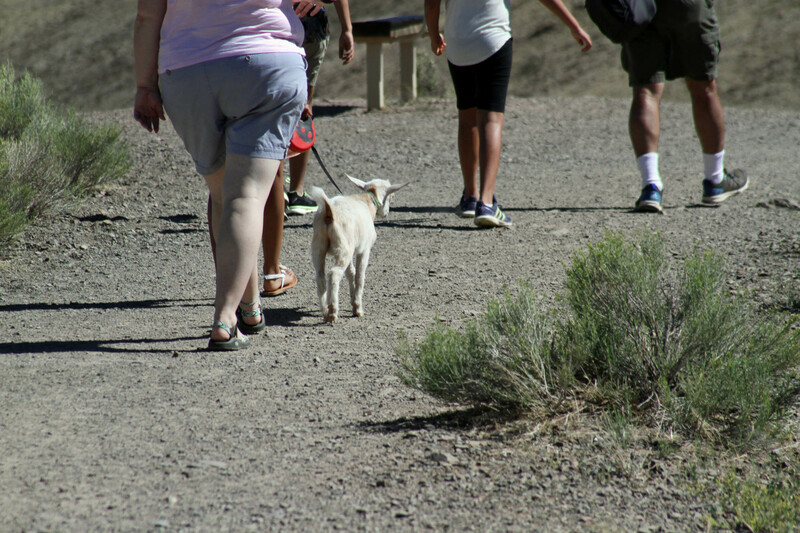 And then, my eye caught one woman walking her little goat. He was on a leash, so I guess that works! One of the cool things about traveling is seeing all kinds of people who make it interesting enough to write about. With my Fitbit buzzing at 10,000 steps, I called it a day and drove the final leg down to Bend where I would get to see my niece and her friend. More mountains dotted the landscape as I reached hippie town, USA. Seriously, it is a lovely town, about to burst at the seams as more and more people (and students) add to the 80,000 population. More on Bend and my fun with “Grasshopper” on my next post, but once again, I will say I thoroughly enjoyed the drive through this gorgeous state with seemingly vast resources and open land. How many times have you crossed the equator?